S1000XR 999cc 2015 - 2017. S1000R 999cc 2014 - 2017. S1000RR 999cc 2010 - 2017. Complete coverage for your BMW S1000RR/R & XR 2010 to 2017. With a Haynes Manual, you can do it yourself, from simple maintenance to full repairs. R1200RT 1170cc 10 - 12. R1200R 1170cc 11 - 12. R1200GS 1170cc 10 - 12. R1200GS Adv 1170cc 10 - 12. Haynes Manuals produce a wide range of informative, practical manuals and books suitable for novices and experts alike. S1000RR (0507, K46). S1000RR (0524, K46). S1000RR (0D10, K46). S1000RR (0D30, K46). S1000RR (0D40, K46). S1000RR (0D90, K46). S1000RR (0517, K46). S1000RR (0534, K46). • Runs directly from the DVD, no installation needed, just place the DVD into your DVD drive and the manual will run automatically. • Input your current mileage and the manual will automatically generate the maintenance service schedule your model requires. 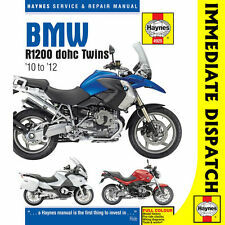 Haynes Manual BMW R1200 dohc 2010-2012. R1200R 1170cc11 - 12. R1200GS 1170cc10 - 12. R1200GS Adv 1170cc10 - 12.I couldn't live without my Haynes. Superbike. Inside this manual Step-by-step instructions: clearly linked to hundreds of photos and illustrations guide you through each job. Covers: BMW R1200GS R1200GSA R1200R R1200RT built between 2010-2012. Motorworks UK are the UK's largest independent supplier of new and used parts for BMW motorcycles. Don't be afraid to ask if you require any further information regarding a listed item. F800 & F650 Twins 2006 to 2010. BMW F800 S 2006-10. BMW F800 ST 2006-10. BMW F800 GS 2007-10. BMW F800 R 2009-10. Manual Haynes for 2010 BMW F 800 GS Haynes Manual 4872 BMW F800 (F650) Twins 06-10. Manual Haynes for 2010 BMW F 650 GS (Twin cylinder 798cc) Haynes Manual 4872 BMW F800 (F650) Twins 06-10. F800S - - - 798cc - - - 2006 to 2010. F800ST - - - 798cc - - - 2006 to 2010. HAYNES REPAIR AND SERVICE MANUAL FOR. 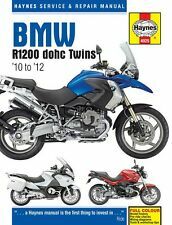 R1200RT 1170cc 2010 - 2012. R1200R 1170cc 2011 - 2012. R1200GS 1170cc 2010 - 2012. R1200GS Adv 1170cc 2010 - 2012. HAYNES REPAIR AND SERVICE MANUAL FOR. 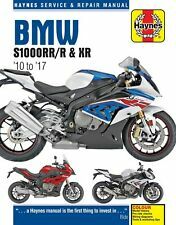 NEW Haynes Manual For BMW F800 F650 Twins 2006-2010 Manual Haynes BMW F800(F650)Twins 06 -10. BMW PART NUMBER: 01 41 8 520 391. Here we have for saleGENUINE 2010 BMW R 1200 GS OWNERS MANUAL in good, usable condition. USED, 9 YEARS OLD BOOK. If you are unhappy for any reason we can help. Ireland and the. BMW R1200 dohc twins 2010 to 2012. 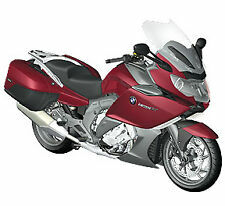 BMW R1200 GS 2010-12. BMW R1200 GS Adventure 2010-12. 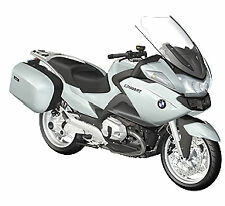 BMW R1200 RT 2010-12. BMW R1200 R 2011-12. Publication No. 011 002 669 21 1 2010. Photo(s) showTHE Item(s) you're buying. 1998 1999 2000 2001 2002 2003 2004 2005 K1200RS K1200 RS K 1200. BMW K1200RS (1998-2005). This BMW Manual is 656 pages. BMW K1200GT (2003-2005). BMW K1200LT (1999-2010). This manual does not cover, in any way, transverse mounted four-cylinder engines. 2010-2011 BMW S1000RR MOTORCYCLE GENUINE ORIGINAL FACTORY OWNER'S RIDER'S MANUAL IN GREAT CONDITION. THIS OWNER'S MANUAL COVERS 2010-2011 BMW S1000RR MOTORCYCLE MODELS. 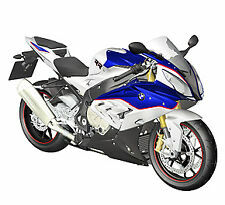 Make 2010-2011 BMW S1000RR MOTORCYCLE. 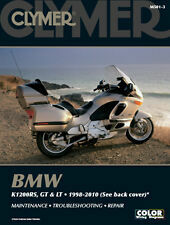 Genuine BMW motorcycle handbook/manual as supplied with the motorcycle when new. Haynes manuals cover servicing, overhaul & repairs. Haynes Hints and Tool Tips: Give you valuable 'inside' information such as ways of removing parts without using special tools.